Enjoy the natural beauty of the rainforest, a peaceful atmosphere and excellent view of the magnificent Arenal Volcano. The hotel has 116 rooms, a restaurant and three beautiful pools. 2 hours from San Jose International Airport. 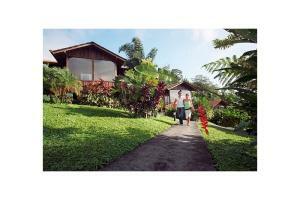 Central Valley day tours, Sky Tram, Canopy Tours, Arenal Volcano, Sport fishing in Lake Arenal.